AUC in the house! 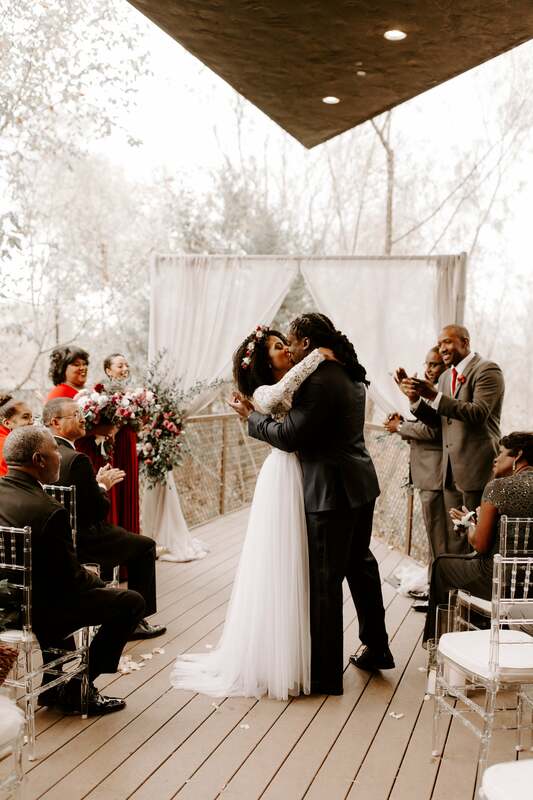 When the bride (a Clark Atlanta University grad) and the groom (a Morehouse grad) reconnected post-graduation, they struck up a conversation about Game of Thrones and sparks began to fly. Their deep connection would blossom into a love that changed them both for the better. 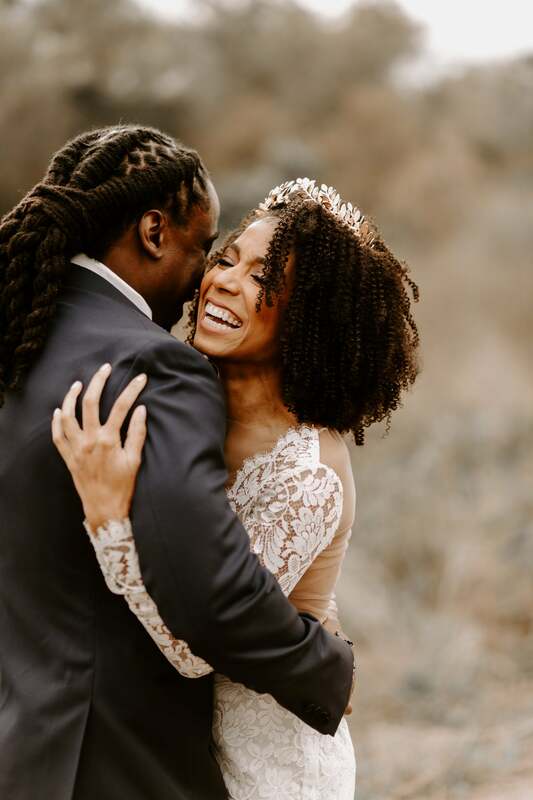 Read their moving love story and take a look at the stunning photos from their big day in Dallas. 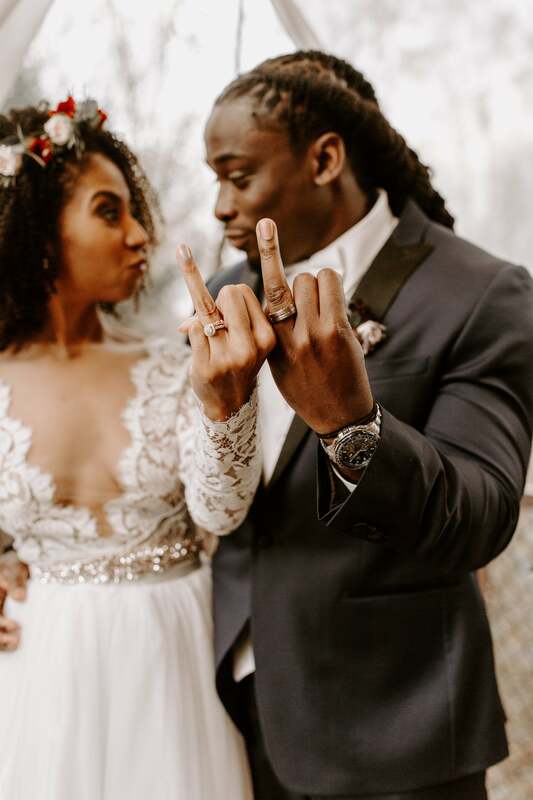 "Rawle proposed at our house in March 2016 after we attended The Internet concert," the bride recalled. "He had been acting slightly out of the ordinary but I didn’t pay too much attention to it. We got home pretty late around 11 pm and as I was getting ready for bed, he was in the guest room with the door closed which was odd to me, but I shrugged it off. After a few minutes, he called me into the room and when I went in, he was down on one knee with candles lit, red rose petals on surrounding him alongside with our 100lb Rottweiler. In the background, he was playing 'Say You Won’t Let Go' which we danced to after I accepted to spend the rest of my life with him." "OMG, I loved being a bride. I loved every moment of it!" Crystal said. "It was much better than I ever thought it would be! Having all of our friends and family in one place to celebrate our love was amazing! The attention is a bit overwhelming, but I know that it was all love. "Going into dress shopping, I had a good idea of what I wanted. I knew I wanted a lace dress, a nice sheath lace dress that would show off my curves (or give the illusion of some) was what I wanted. Knowing that the wedding would mostly take place after the sun would have gone down; I knew I wanted it to have sleeves because I am always so cold. I wanted to be comfortable, which is pretty much how I dress on a regular basis. I had tried on dresses at bridal shops with friends and nothing really caught my eye. My mother came to town in April of 2017 to help with the planning and for us to go together to try on dresses. We went to a small boutique in Nashville called The Dress Theory and as soon as we walked in my mother pulled the dress and said “This is The One” sure enough, it was! It had everything I wanted. 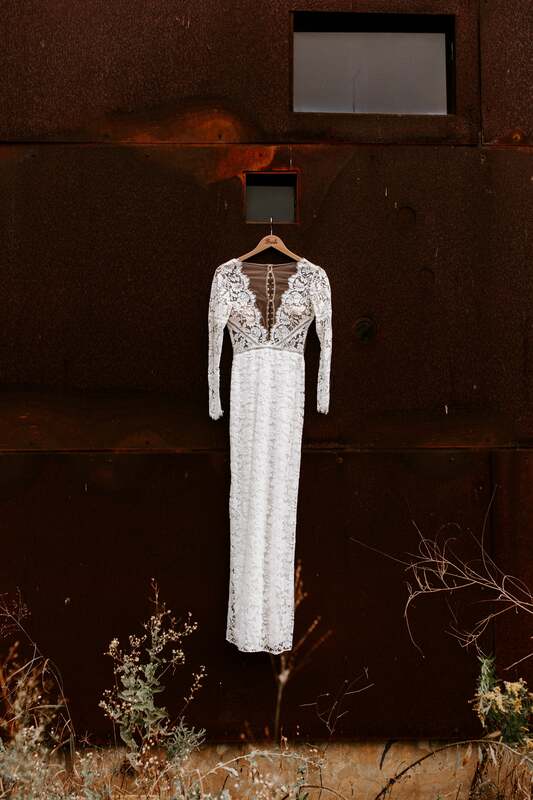 A plunging V-neckline, long sleeves, beautiful lace with eyelashes for days, and it was extremely lightweight making it the most comfortable formal dress I had ever worn. 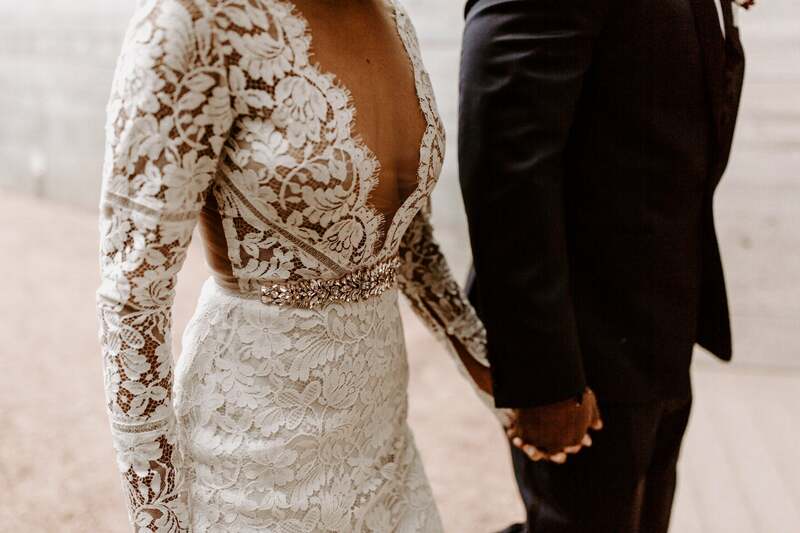 The designer, Sarah Seven, let me customize the dress by removing the back panel of lace and only having the buttons, which was the perfect touch-it was beautiful at every angle." 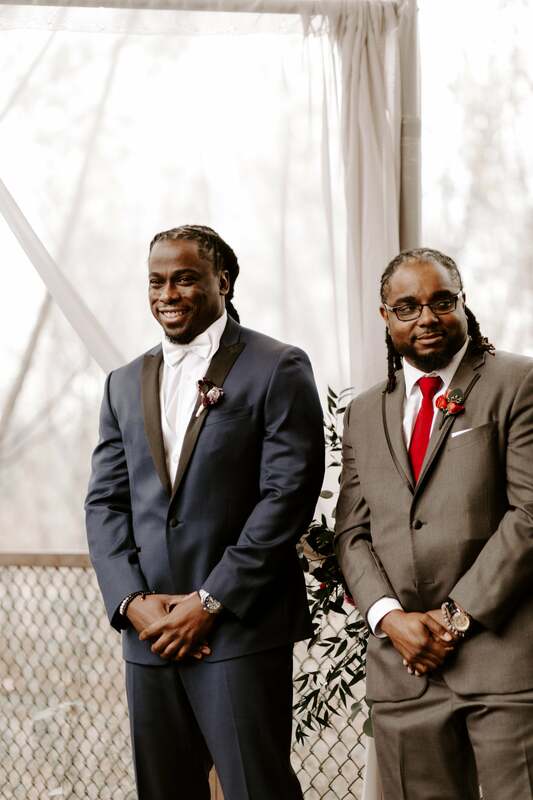 "I don’t think I ever dreamed of being a groom but it was a great experience," said Rawle. "I had been the best man at both of my best men’s weddings and I was excited they could be there for me. Having my friends from Brooklyn and college be there meant a lot to me. My family is always so supportive so I was happy they experience this with me as well." 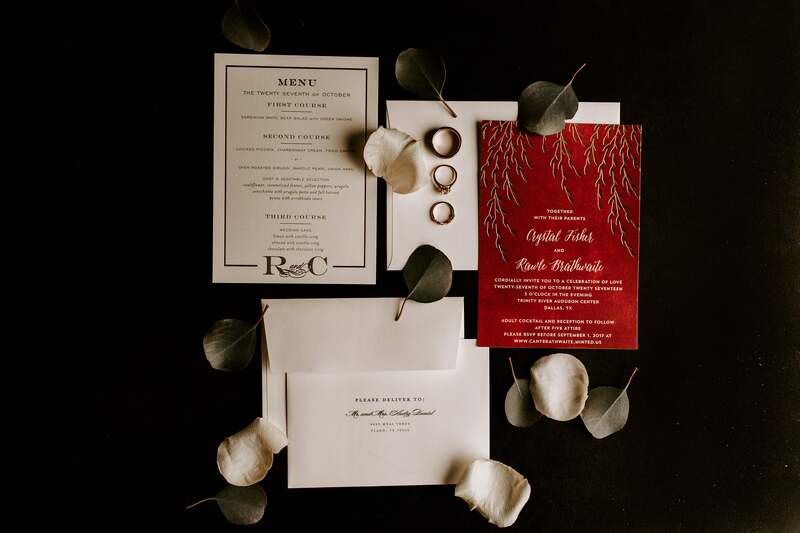 We love Crystal and Rawle's wedding stationery! Buttons on a wedding gown? Elegance! 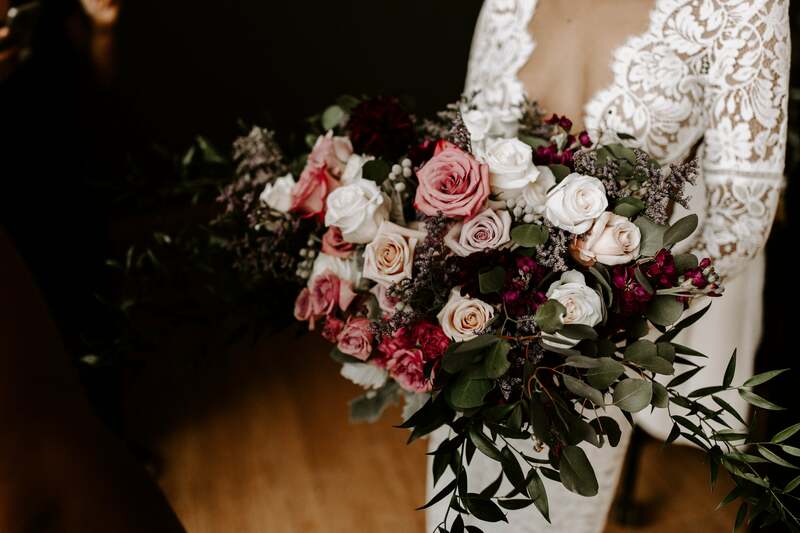 For Crystal's breathtaking bouquet, her florist used Brazziliea Brunia, Eucalyptus, Silver Dollar, Fillers Limonium Maine Blue, hellebore burgundy, purple hydrangeas, Burgundy Peonies, Wild Paul, Lavender Roses, and Purple Haze and Mauve Pink Faith. 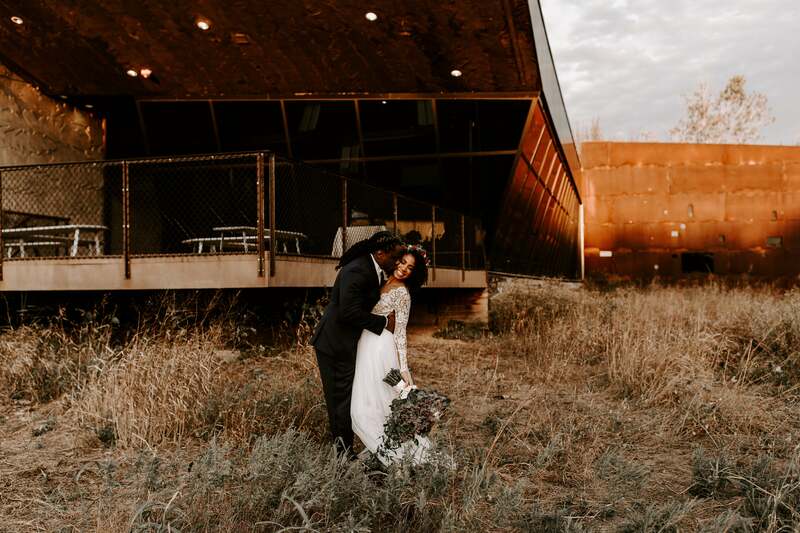 "I wanted a fall inspired bouquet that was more of a crescent shape than the traditional round shape. Deep plums and marsala’s were key. Belle Décor did such a great job. It exceeded my expectations!" 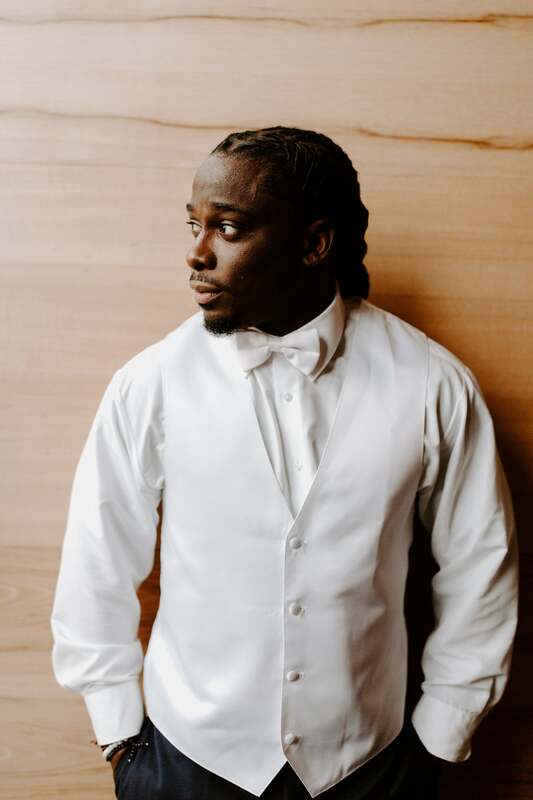 "Rawle is a simple guy with very little wants and desires," said the bride of her groom. "He is extremely giving, loyal and true. He’s there for those that he loves and always doing his best. He is admirable and very stubborn." 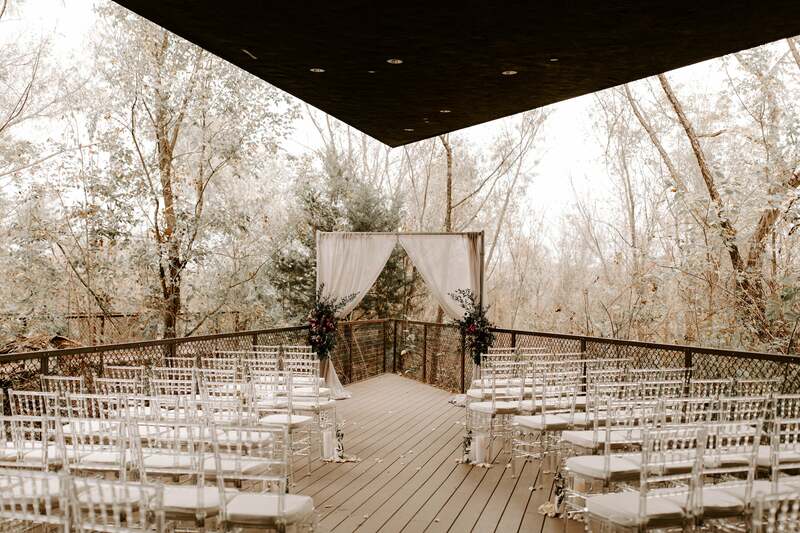 "The ceremony décor was simple. I love clean lines and just the right amount of elegance. 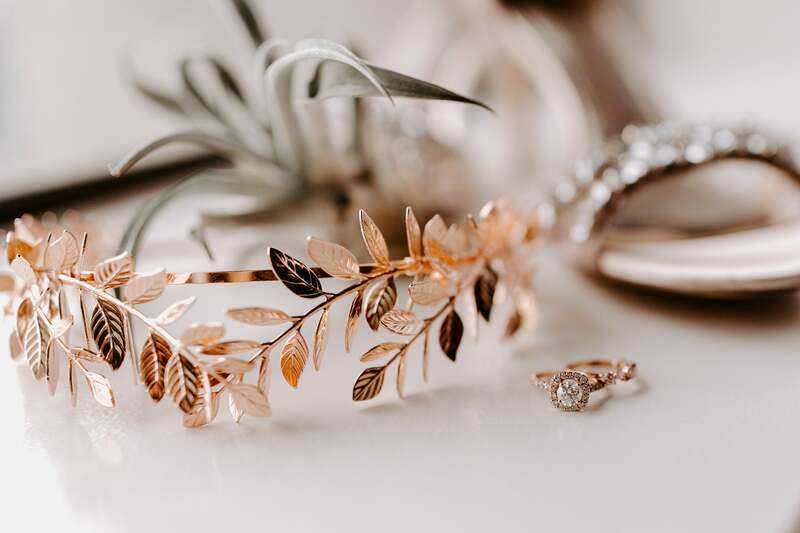 A reoccurring theme throughout the wedding were leaves, since it was fall and we were at a nature preserve, leaves were strategically placed. We had clear Chiavari chairs with white cushions, white multi-height cylinder flameless candles with Italian Ruskus inside and white rose pedals puddling around them. 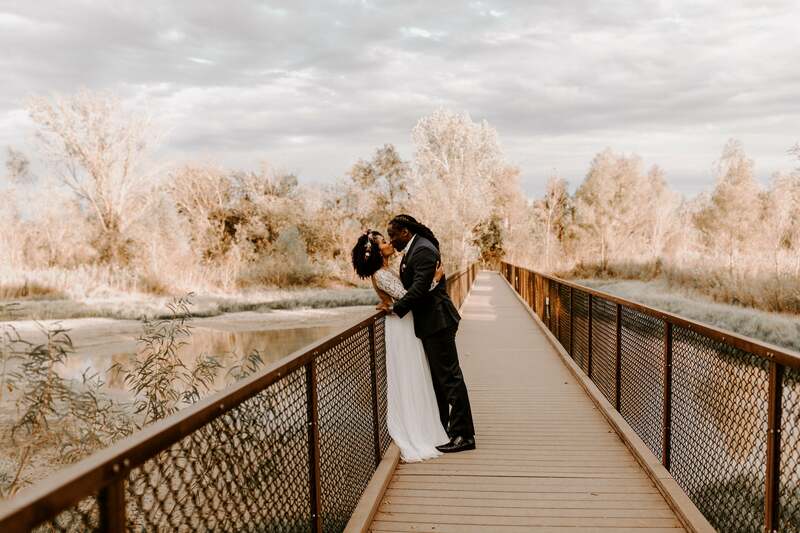 At the altar, we had a sheer gray drape that was loosely cuffed with climbing Italian Ruskus and our floral recipe that was also used throughout the wedding." 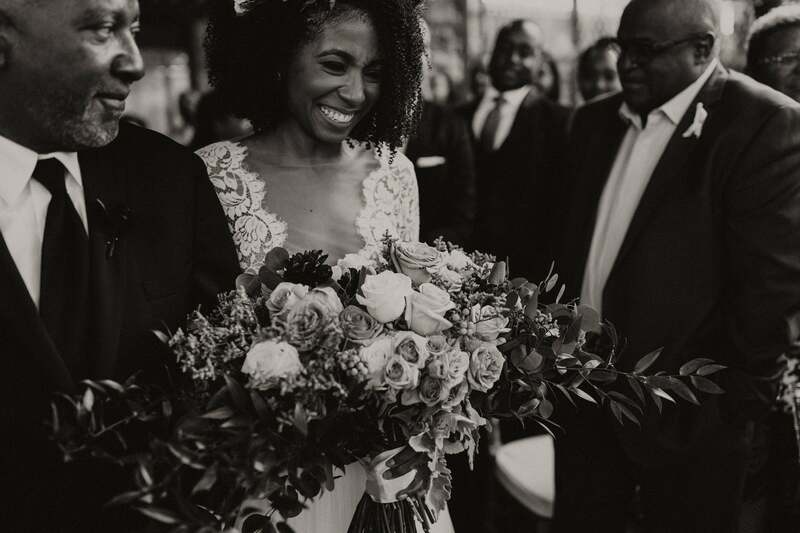 "My father walked me down the aisle," said the bride. "There was never another option. I was happy to share that moment with my daddy." "At the altar, I felt excited that we were moving on to the next phase of our lives together," said the groom. "I could see in her eyes that this woman genuinely loved me and that made me look forward to growing old with her." "I said yes because he was and is who I wanted. I said yes because I didn’t want to live my life without him. 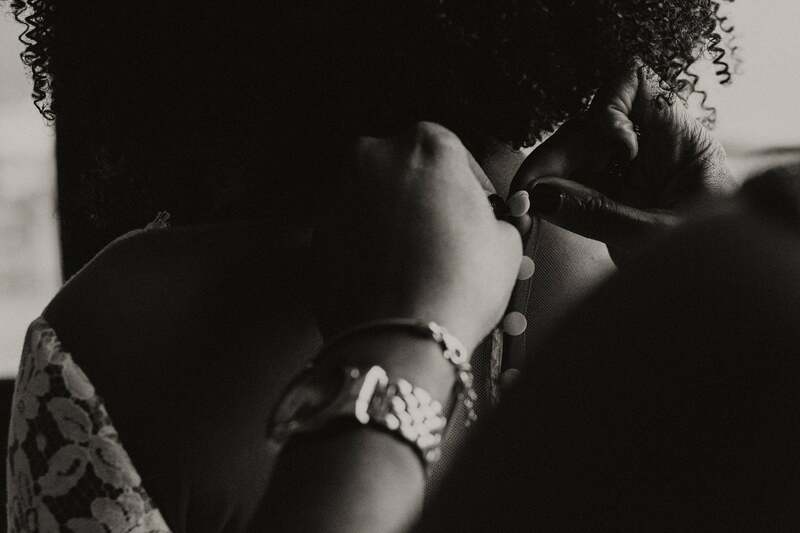 I said yes because he was the person I needed and I know that he needs me as well," shared Crystal. 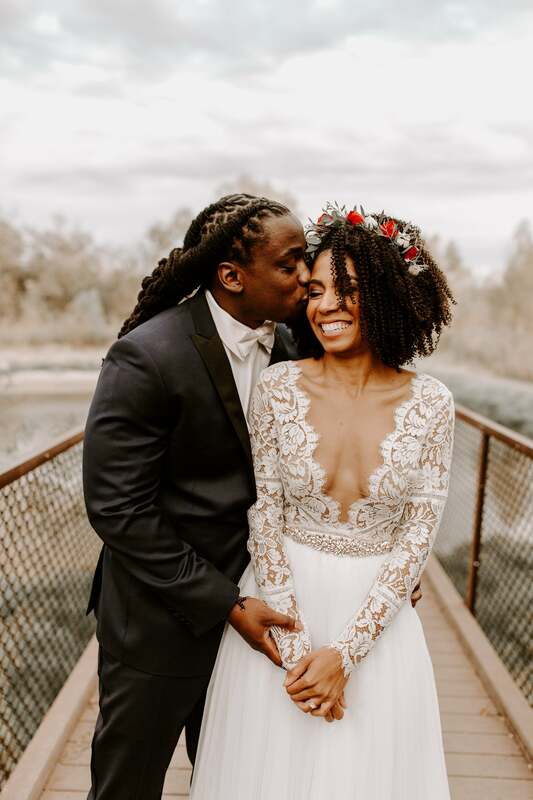 "In the three years that we dated, she stayed by my side through all the highs and lows," recalled Rawle of why he chose to make Crystal his wife. "I am a simple man; I just needed someone to truly love me at my best and worst." 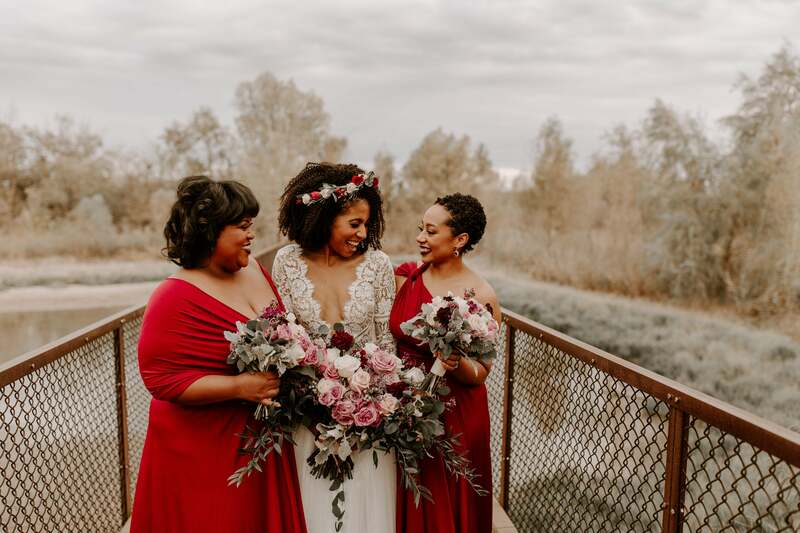 By her side on her wedding day, Crystal's best friends from college and middle school surrounded her with love. "Crystal is my complete opposite. Where I am weak she is strong, and vice versa. Our differences complement each other. Initially, I did not see the beauty in this, but more and more I understand the dynamic and power of this. It has helped us both to grow both personally and romantically. 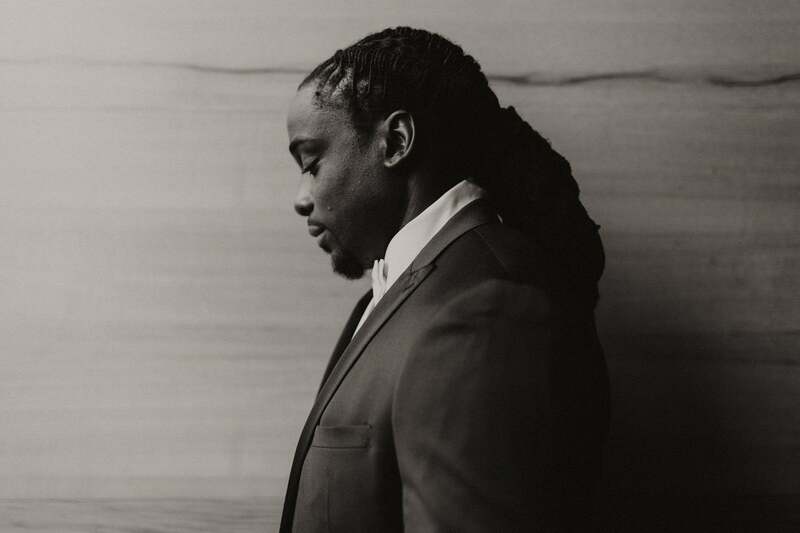 I discover something new about myself within our relationship that has aided in my growth as a man." 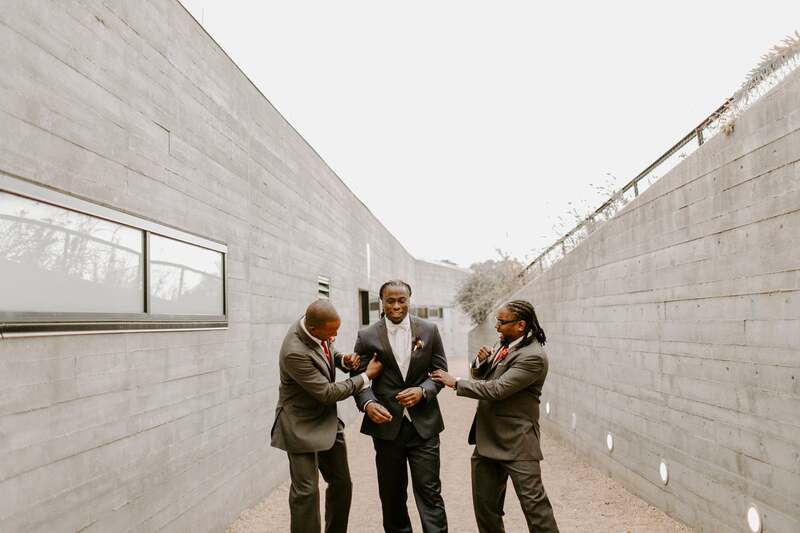 Rawle's best friends from grade school and college stood with him on his wedding day and definitely offered up lots of laughter and love--the way it should be! 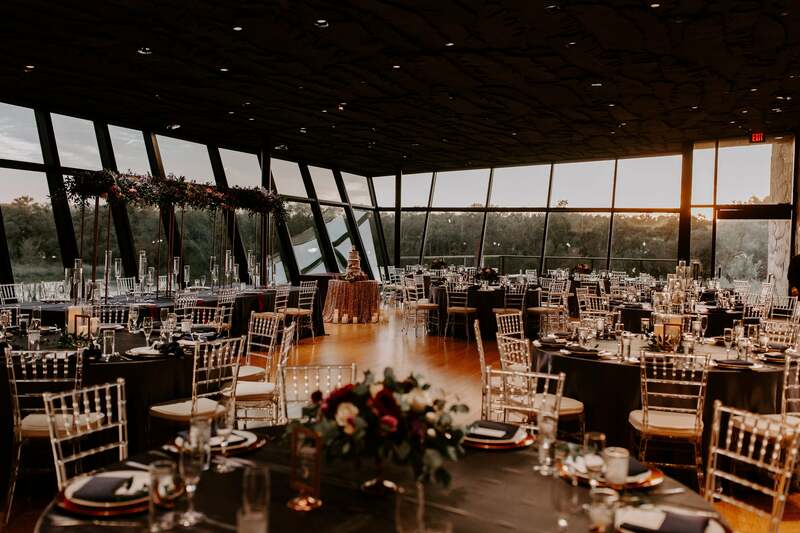 "I honestly can’t think of a specific time that I knew," the groom said. "The night we met, I told a friend of mine that she as going to be my woman. How could she not! Seriously, that night and the many days and nights to come as we got to know one another, I just knew she is what I wanted in a woman. I looked forward to navigating uncharted waters with her." "I wasn’t really looking for love when I met Rawle. I was having a good time dating and having fun. I had been in a serious relationship 4 years earlier and had a few relationships in between but I wasn’t looking by any stretch of the word. I knew love would happen to me. Like all things in life, you will have what is for you in the time in which you are able to receive it. I found that true love in Rawle. He cares for me like no man has and is always there for me." 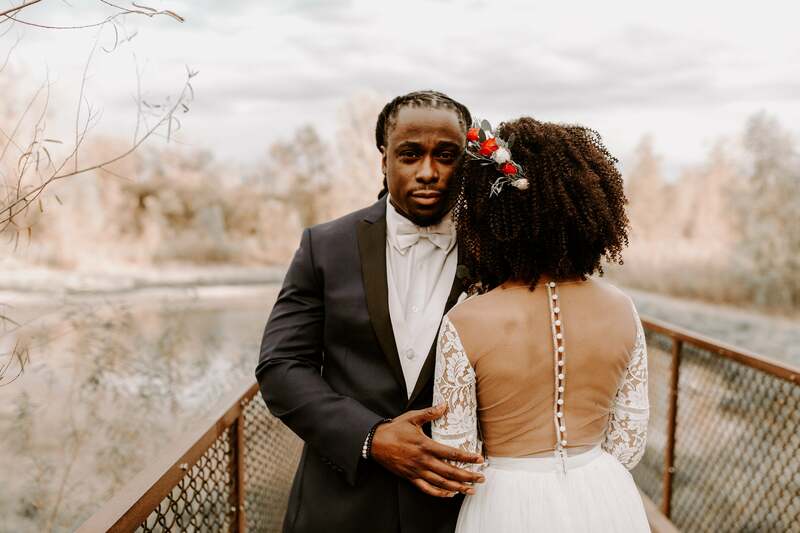 "I love that Rawle is so giving," said the bride of her groom. "It doesn’t matter who it is, he will give his last dollar if he felt it would better aid another person and improve their circumstances. He is extremely giving to family, friends, and strangers. He may try to come off hard but he’s a real softy!!" "Crystal is loving and opinionated. Whether or not I can see it at the time, she always has my best interest at heart. She is nurturing and supportive and aggressive with our love. This is something that I need but never knew I wanted. She is always in my corner, loving me through it all." "The reception décor stayed true to our idea of simple and elegant for about 90 guests." 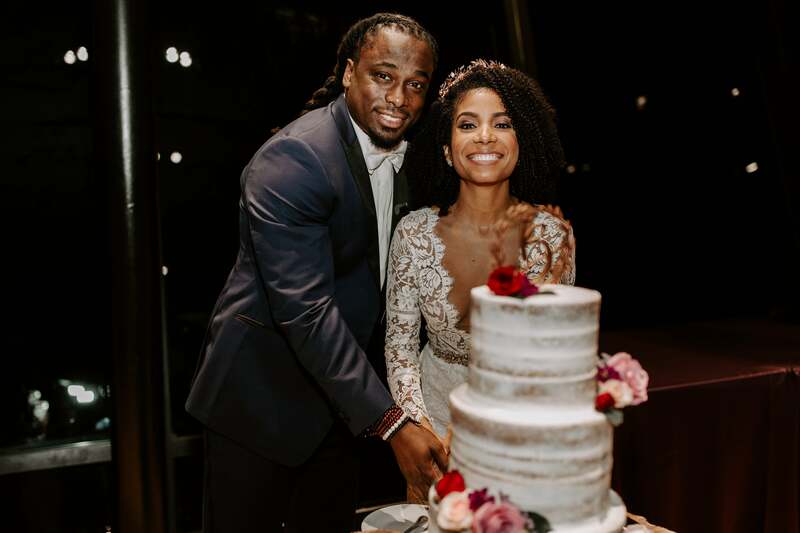 "We went with a 3- tiered naked cake with three different cake flavors- Almond and Lemon with vanilla frosting and chocolate cake with chocolate icing. Rawle loves yellow cake and I love chocolate. I wanted us both to have what we wanted. The lemon was a throw in because who doesn’t love lemon cake?!"